World Climate offers an opportunity to learn by experience. We share some quotes we have received from World Climate facilitators and participants around the world of what they have been able to learn, and how they have been inspired to take action on climate change. It was an amazing experience to know what sorts of efforts are needed for effective climate negotiations. 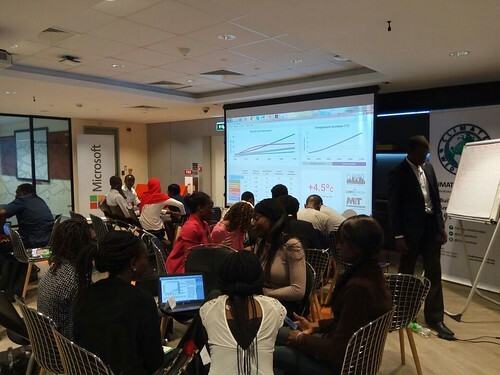 Participants learnt a lot from this simulation and are now encouraged to work for global environmental issues. At our event on 30th September, all the participants were enthusiastic to see the effect of their commitments on C-ROADS. We have realised and learnt that bringing the temperature to 2 degrees Celsius below pre-industrial level is a gigantic task but together we can achieve. It was amazing experience! I learnt that the carbon dioxide in the atmosphere is more than enough. We certainly don’t need more. But the issue of ineffective negotiations and lack of in-depth understanding of the climate system from regions of the world, developing and developed alike, pose a threat to achieving a low temperature increase that is sustainable for livelihoods and in eliminating greenhouse gas emissions. Therefore, the need for climate change information and advocacy cannot be over emphasised especially in this 21st century. 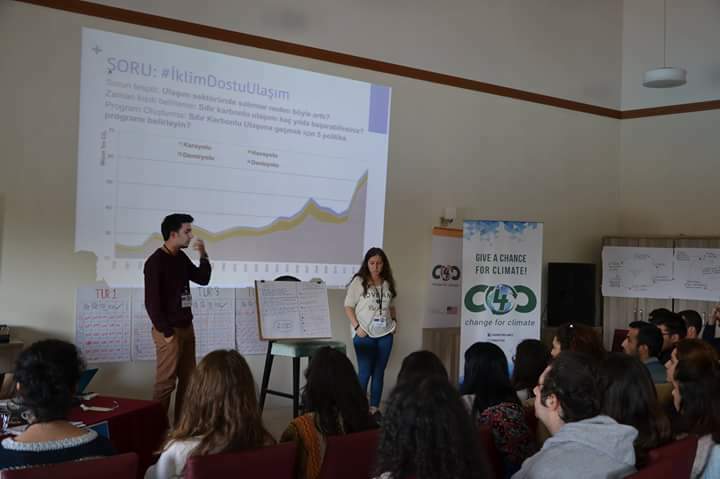 This [World Climate Simulation] training built the capacity of participants on how to be climate negotiators with the use of science-based decision making tools. I was at the Change for Climate (C4C) Project two weeks ago. Before attending to the course, I had some idea about climate change, animals becoming extinct, melting of icebergs, etc. What I had not known is the level of the danger! I learned many things about the underlying reasons of climate change and the things that we can do reduce the impacts. After playing the World Climate game, I completely understood the procedure of Conference of the Parties. I learned what countries are supposed to do for negotiations in order to keep the temperature change below 2oC. I was at the ‘Other developed countries’ table and I tried to think like an authorized person while I was making decisions and giving promises about lowering carbon emissions in those countries, reducing deforestation, etc. Thanks to C-ROADS, after each round, we had the chance to see the results of our decisions and promises and how far or close we were to our goal. Sometimes, we lost hope to stop carbon emissions and save the world, but then we looked at the C-ROADS results and understood the actions that we can do needed to be immediate. After the debrief session, I was really excited and inspired to take action in order to stop climate change and I want to announce all the people that solution is not so difficult and it is not so far away! Participating in the world climate simulation made me understand the perspective of countries worldwide on climate change. Although I come from an environmental health background, this simulation has brought realistic and down to earth scenarios that are happening and that are far from just idealistic theories that we learn about climate change. Politics obviously has a lot to do with many decisions that are taken worldwide, thus in my opinion after this simulation, I believe that in order to be able to achieve something at the environmental level you need to have perfect negotiation skills in order to convince the great powers to take into consideration something they do not consider of a high priority like the environment.